I’m sure you have seen the Cleo Carefree Cover Up from the Spring 2013 edition of Creative Knitting Magazine. How would you like to win everything you need to make it? We have one prize that includes 10 skeins of Cleo in color 102, Starfish, needles, copy of the pattern and one issue of Creative Knitting Spring 2013. **Please note that you will receive the color the pattern used. Any other photos of Cleo are for reference only. To Enter: Comment on this blog entry between 4/8/13 and 4/19/13. Tell us your first name with last initial, your favorite Plymouth Yarn retailer along with their city and state. Winner will be picked at random and notified by email or message. Visit Plymouth Yarn’s Facebook page, Twitter, Pinterest or Youtube Channel today. NextEllensburg, WA-There’s a New Shop In Town! Comment to Win! patternworks from Center Harbor, NH and annies, but would like to see at Yarn Barn in Lawrence Ks. So pretty would live to make it for spring. I shop at Have Ewe Any Wool in Snyder, New York. I enjoy the variety of colors, textures, and types of yarn provided by Plymouth Yarn. My favorite Plymouth Yarn retailer is Knit or Knot in Jupiter, Florida. The yarn choices, staff and client friendships, along with the excellent help given whether simply choosing projects or improving shills, is worth a day-trip south from where I live in Vero Beach. I enjoy the variety of colors, textures, and types of yarn provided by Plymouth Yarn. My favorite Plymouth Yarn retailer is Knit or Knot in Jupiter, Florida. The yarn choices, staff and client friendships, along with the excellent help given whether simply choosing projects or improving skills, is worth a day-trip south from where I live in Vero Beach. I love that top and the pattern stitch is one of my favorites. It is easily memorized. That would be a good taking-my-husband-to-his-many-thousands-of-doctor-appointments project! Please pick me.!! I’ve been looking for a pattern for a summer top and this one is perfect! My favorite Plymouth retailer is The Yarn Boutique in Rochester, NY. The top looks lovely — very flattering! This pattern looks beautiful! I split my yarn shopping between Zen Knitting in Parker, CO and Colorful Yarn in Littleton, CO! Love it and would love to win it! Very pretty! Would love to make this for me! My shop of choice is Knitter’s Mercantile in Columbus, Ohio! Would love to make this!!! Recently retired; have rediscovered how much I love to knit. And, I love this sweater. Pick me. Pick me. Beautiful Carefree Coverup… love the color and the delicate pattern. Favorite Plymouth Yarn retailer…Webs (yarn.com) in MA and Wool Over Your Eyes in Greenville SC. Favorite retailer is Annie’s! My name is Natalie F. from Seward, Alaska and I don’t have too many yarn shops around me. Online ordering is wonderful except I can’t get a chance to touch the fiber…if I have to choose another place it would be The Tangled Skein in Eagle River, Alaska. Thank you! Just beautiful! My LYS is Swatches located in Fresno, CA. I love Plymouth yarn and my favorite retailer is Knitting in the Loop in Houston, Texas. Oh what a beautiful top. I never made a top and I would love to try. Gorgeous! what a lovely design! thanks for the opportunity to win this. My favorite Plymouth dealer is Paradise Fibers in Spokane WA. This pattern looks so elegant. I would love to make it. This pattern looks so Elegant. I would love to make this. Very pretty/feminine and enough coverage for an air-conditioned work day or a day in the sun for a redhead like me! I would love to win the yarn to make this! It is so pretty!! Stunning sweater. A new yarn store has opened in Tiverton, RI and it’s name is Perfectly Twisted Yarn. It certainly is a favorite of all of us who live in this beautiful area of RI. I have to order it online @ yarn.com as our yarn shop does not carry this brand. Marion, Ohio. Liza S. says: It’s a simply beautiful cover up. It would be a very exciting and pleasurable project to have on my needles! My favorite retailer of Plymouth Yarn is Mass Avenue Knit Shop in Indianapolis, Indiana. I enjoy going to yarn stores that provide Plymouth yarn kits. It is fun to find the neat color and pattern combinations that yarn shop and Plymouth have put together. Both to make and to learn from. What a lovely design – so elegant. A fantastic prize for a yarnaholic like me. I shop Plymouth on line. Love this look and color is season perfect! I would love to make this for the summer. It is a stunning sweater and very elegant. I am an experienced knitter and would like to make it for myself and a friend. I would be thrilled to win this prize package! I shop online, as I live in a non-LYS area. Closest store would be Stitch Niche in Lexington, KY. Such a pretty sweater. I love the lace pattern. Would love to make one of my own. Thanks for the chance to win one. very pretty sweater and love the color for summer…favorite store is hard as there is none where I live, so I either order through Webs or JoAnn’s….would love to knit this…thank you! My LYS carries Plymouth Yarn: Georgetown Yarn and Crafts, located in Georgetown, Ontario, Canada. It’s my favourite choice! I buy my Plymouth yarn at WEBS in Northampton MA. I buy online and love all the baby alpaca choices Plymouth has! This pattern looks beautiful. I think it will be the next thing on my needles! I love working with your yarn and thanks for the lovely patterns! VERY pretty sweater! It would be perfect for spring and early summer. I like to shop at Lila and Claudines in Mahtomedi Minnesota. Love this sweater. Advantage of knitting your own sweaters is that you can adjust the length to fit your own frame. I’m tall and most sweaters are just not long enough. I most of my yarn on line at various sites depending on what I’m working on. This is a wonderful sweater! I love shopping at Colorful Yarns, Centennial, CO. Thanks for the opportunity to win! Perfect party top with white linen trousers. So pretty. Favorite Plymouth Yarn Dealer is either PatternWorks or Hill Country Weavers in Austin, TX. This beautifully designed knitted top reminds me a bit of Victorian lace…very exquisite look…with a comfort feel to it…..I shop at Urban Yarns for all my supplies…. I would love to win!! Plymouth Yarns can be found at Elaine’s Yarns in Davison, Michigan! Beautiful yarns! So pretty. I love The Knitting Boutique in Glen Burnie, MD. My favorite retailer is The Yarn Store at Nob Hill in Albuquerque, NM. I love the length of the sleeves. Perfect for spring and summer. Spin A Yarn is my go to place for special yarn. It is in Binghamton, NY. Very friendly and helpful! Beautiful, delicate, lace! I love this and would love to knit it. I do most of my yarn shopping online, as I am a total impulse buyer, and it helps me keep expenses down. Annie’s gets a lot of my business! Beautiful sweater, can’t wait for the pattern! I shop on-line but always have patternworks in Center Harbor, NH, as a backup! My favorite Plymouth dealer is the Weaving Works in Seattle Washington. Beautiful. Sooooo ready for spring and summer. I love Needlepoint Joint in Ogden Utah and Webs Yarn online. Beautiful pattern! My fav place to shop for Plymouth yarn is Woven Art in East Lansing, MI. I love Needlepoint Joint in Ogden Utah (they sell more yarn now than needlepoint canvas) and Webs Yarn online. I love this pattern and purchased it before I saw it in Creative Knitting. Sure do hope I win everything. The best yarn shop in the Twin Cities, MN is Knit ‘N From the Heart in Woodbury. Great staff and great selection of Plymouth Yarn. Love Plymouth Yarn and your patterns. Your patterns are easy to follow and so complete and that makes knitting them such fun. Keep up the good work! I have to shop online because there are no yarn stores in our area. This pattern is definitely on my to-make list! Thanks for the opportunity to win the yarn needed. I love, love, love Plymouth yarn! Swisher’s Yarn Basket in Danville, PA has a great selection of Plymouth yarns. That’s where I get mine! Love the pattern shown…. Main Street Yarns in Mason, OH would be my favorite shop to buy this yarn.I would love to make this pattern. Yarnmarket in Pickerington, Ohio is a great source for Plymouth yarns. Yarnivore in San Antonio, TX is a great place to check out the latest Plymouth yarn. My local yarn store that carries Plymouth yarn is the Yarn Boutique By Sarah which is located in Newton NJ Love the pattern and the beautiful yarn! I shop at Ben Franklin craft and Frame in Springfield, Oregon. Unfortunately, our shop in town closed. However, in an hour plus drive I have two great shops. The Stitching Den in Estes Park, CO and The Recycle Lamb in Lakewood, CO.. I shop on line as I am new to this area. What a great thing. Love Plymouth yarn. My favorite Plymouth Yarn retailer is The Knitting Room in San Jose, CA. I love knitting lace, and I love longer sweaters. This one is perfect! Beautiful pattern! My favorite LYS is Table Rock Llamas Fiber Arts Studio, Inc. in Black Forest, Colorado. They carry Plymouth Yarn. Dancing Sheep Yarn & Fiber, Casper, WY, is my favorite yarn store. Love the variety of colors. Pattern looks Like it would make a great present. Very Lovely Pattern, so feminine, even if I don’t win, I’m going to buy the magazine just to have the pattern! This is so beautiful…would love to knit this. Thanks so much for your wonderful inspiration to keep knitting. I’m still being challenged even after over 60 years since I learned to knit =) !!! Perfect summer pattern, I love the design. My favorite yarn store if The Yarn Club in Virginia Beach, VA. They have a great selection of Plymouth yarn and the friendliest staff and customers! Plymouth yarn is available at Busy Beaver Arts and Crafts in Dayton, Ohio. This pattern is beautiful and will be fun to make. This would make a beautiful top to take to the beach this summer! I usually shop at Basketful Of Yarn in Clarkston, MI. I love the pattern. My favorite place to get yarn is Webs in Ma. Love their back room for discounts on yarn. What a beautiful and clever design. My favorite shop is Sisters of the Wool in Westport, Mass. This is beautiful. I would love to win this yarn and pattern. My favorite place to buy plymouth yarn is Joanne’s in Springfield Illinois. Wow! Love the hem and sleeve shaping, it’s really unique. Yarn has such nice drape! My favorite yarn store is Oak Street Antiques in Baraboo, WI. I love that there are at least 3 LYS that sell your yarn but my fave is Rainy Day Creations in Pineville, NC. Hi, My name is Merilyn H. and I buy my Plymouth Yarn at Coeur d’Alene Yarn and Fiber in Coeur d’Alene, Idaho. I love this project and would love to win it and make it. My fave Plymouth Yarn retailer is Seattle Yarn in Seattle, Washington. Thank you and keep up the great work, so inspiring!! Love this pattern and would live to win it. I don’t have a LYS so I order from Annie’s. So beautiful! I would love to knit this. My Plymouth retailer is Yarn Barn in San Antonio. I love Webs in Northampton MA. Just beautiful!!! Thanks for the inspiration! Never have tried anything like this, but I learned how to make socks last year so this will be a nice project to learn for this year. i have never tried plymouth yarn, but i see it all the time used in all my knitting magazines! such beautiful yarn! i have two that are equi distance from me, that carry plymouth yarn! Would love to knit this. I would love to knit this! I too usually get most of my yarn on-line from Webs in Northhampton, MA. I love checking out the Plymouth yarn at the Yarn Barn in Lawrence KS! I love working with Plymouth yarns. My favorite yarn shop is Ben Franklin Crafts in Oconomowoc, WI. my favorite place to get Plymouth Yarn is The Red Thread in Warrenton, VA.
Knittng is my addiction…both projects look inviting for spring, only requiring the time to do them in. Because of my busy schedule, and the lack of a knitting store nearby, I shop for Plymouth Yarn online: WEBS, Yarnmarket. However, the squeezing and seeing of the yarn is definitely missing in the selection of it! I love this top and want to make it. I buy all of my yarn at Have You Any Wool in Berkley, Michigan. The best yarn shop around is Cornerstone Yarns, in Richfield, Ohio. Her selection of Plymouth yarn is outstanding. And I’ve been using Plymouth yarn since I started to knit, its my favorite. Robin W…my favorite place to get Plymouth yarn is The Elegant Ewe in Concord, New Hampshire. I love the WEBs store at yarn.com. I usually purchase online due to disability. Patternworks, Center Harbor, NH since I don’t live close to any local yarn shops. Love this! We love the Muddy Lamb retail store in Fishtail Montana! Lovely yarn. I’d love to try it. What a beautifl yarn! would love to see it at my favorite yarn shop Just Bead It in Fountain Hills AZ!!!! This is the coolest place to hang out! Love cotton projects and Plymouth yarn. Favorite retailer is Ranch Dog Knitting in Atascadero, CA. Penny P. I shop online and the nearest yarn shop, under the influence by Nancy is Shreveport LA which is an hour away. Plymouth Yarn has been one of my very favorites for the 47 years I have been knitting. Keep up the good work! My favorite retailer is Bette Bornside Company in New Orleans, LA. My favorite Plymouth Yarn retailer is The Knitting Studio in Montpelier, Vermont! Local Yarn Shops are River Colors in Lakewood Ohio. COMMENT IS: I WOULD LOVE TO WIN THIS YARN. I DEARLY LOVE PLYMOUTH YARN. NO MATTEER WHICH ONE I USE IT IS OUTSTANDING. I LOVE IT ALL OF IT. MY FAVORITE SHOP IS “FAYE’S NEEDLECRAFT BOUTIQUE, TALLAHASSEE FLORIDA”. My favorite yarn store to by plymouth yarn was Borealis Yarn Store on Hamline and thomas in St. Paul Mn, but sniff, sniff, they had to close! Southern Purls in Ahoskie, NC. I enjoy shopping at the Needleworks Barn, Moorestown, NJ. I shop for my Plymouth products at JillDeal Inc in Milford, PA, I’ve used your encore for sweaters, hats and scarves and love the results. I Love the look of this yarn, can’t wait to knit with it!!! I especially love Plymouth Encore, which I use for most of my knitting projects for my 3 granddaughters and a few other other toddlers in my life. I almost always purchase it at my lys, Trumpet Hill in Albany, NY. We don’t have a local yarn shop. I like to shop online at Webs and Knit Picks. Love your Jelli Beenz yarn. Would love to try the Cleo. I love to use Plymouth yarn for all my baby things. I have 13 grand children and 4 great grand daughters so lots of kids things. I have been thinking of making something for my daughter and this would be perfect. Since I am home bound I buy Plymouth yarn at Annies catalog site as well as other sites since I have to shop many sites to find exactly what I want. The Creo Creative Coverup is really feminine and pretty. I would love to knit it. I shop for Plymouth yarn at the Wild Purl in Billings, MT. Love working with Plymouth yarn from RJ’s Simple Spending and Kim at Antiques and Artisans. Winning would be great!It’s too hard for me to pick just one LYS. My favorites are Haus of Yarn in Nashville and Bliss Yarns in Brentwood. They have distinct personalities and really good knitting adventures. I bought Plymouth Yarn Zino at Hillsborough Yarn Shop in Hillsborough North Carolina. Pretty pattern! I shop at Cowgirl Yarn in Laramie, WY! Love how elegant this sweater looks! And Cowgirl Yarns in Laramie WY is a great LYS! We have a local store called Kenai Fabric that stocks a small quantity of yarn and it is predominantly Plymouth Encore. Clearly yarn is not their focus, but I am happy to have a convenient source of Plymouth yarn:) It has quality you know you can depend on. Thanks for the contest and good luck everyone. My Name is Lisa H and I buy my Plymouth Yarn products in the Pacific Northwest at Craft Warehouse! Knitting Next Door in Ankeny, Iowsa, is my LYS supplying Plymouth Yarns. They’re very friendly and helpful there. I shop at Cowgirl Yarn in Laramie, WY! I shop for Plymouth yarn at “The Doll factory” in Torrington, Wyoming. They have yarn, quilting fabric, dolls and toys – we are lucky to have them in our small town. Yarnworks in Gainesville, FL is where I like to shop. I’ve purchased most of my Plymouth Yarn from websites. Locally, I purchased some Plymouth yarn at Stitches West. One local store in Alameda, CA, Alameda Yarn Company, has a very good selection of patterns and yarns. I purchased sone lovely Baby Alpaca Grande and a shug pattern, which was very easly and fun to make. My favorite yarn shop is “The Needler” in Lexington, SC. I love knitting with Plymouth Yarn. I’m Pat K. My local yarn shop is Yardgoods Center in Waterville, Maine. Would LOVE to win rhia kir! My lys doesn’t carry Plymouth Yarns – so sad! But I would love the opportunity to work with this yarn. Love Plymouth Yarn company, favorite place to buy yarn is: Old village Yarn Shop in Plymouth, Michigan. Love the pattern for a spring! I shop for Plymouth Yarns at Cornerstone Yarns in Richfield, OH, and Studio Knit in Medina, OH. I like Encore and Encore Tweed for men’s sweaters. Affordable, quality yarns that knit up into comfortatable garments. I would love to make this! My mother in law got me started on your yarn and now I get it from Cowgirl Yarn in Laramie, WY! This pattern is lovely. Would look wonderful on my daughter in law! My LYS is Rosemary’s Gift and Yarn Shop, Windham, Maine. Hello this is Karen Z!! I am excited about your new yarn, Cleo, and the pattern is lovely. what a lovely pattern! it would be so pretty for spring! my favorite yarn shop is Cowgirl Yarn in Laramie WY! My favorite Plymouth Yarn retailer is Janet Sutherland @ Sit ‘n Knit in Melrose, MA. I buy my Plymouth Yarn at either Knitorius or Knit and Caboodle in the St. Louis area. What a beautiful summer swester. My favoiite Plymouth retailer is Jimmy Beans Wool (of course) in Nevada. What a beautiful summer swester. My favoiite Plymouth retailer is Jimmy Beans Wool (of course) in Reno, Nevada. My favorite yarn retailer is online at Webs in Northhampton, MA. I am just learning to knit and only one set of needles. This would also be so great. Beautiful casual top that would be perfect for spring/summer. I purchase my yarn at Yarn and More, Lakeside, Arizona. Lovely! Jimmy beans Wool in Reno, NV is my local yarn shop. Pretty pattern! My LYS for Plymouth yarns is Jimmy Beans Wool in Reno, NV. This is a really pretty yarn and pattern. I would really like to make this design. My favorite Plymouth retailer is Beth’s Yarn Basket in Carroll, Iowa. Is my store to buy Plymouth Yarn. I love this pattern and color. I wear “beige” or a variation of it alot. My favorite Plymouth yarn store is “Spin-A-Yarn” in Binghamton, NY. I need this sweater! Beautiful! Would love to make this! Favorite Plymouth retailer was Fiber Nooks & Crannys in Corvallis, OR; sadly, it closed last December. Now I get Plymouth yarns on-line from Jimmy Beans Wool (Reno, NV), Yarn Barn of Kansas (Lawrence, KS), and Noble Knits Shop (Exton, PA). Gorgeous! My favorite LYS is also my favorite Internet store, Jimmy Beans Wool, Reno, NV. I’d love to win this!!!!!!!!!! THe color is great too. Yarniverse is the best yarn store ever in Memphis TN. My favorite Plymouth retailer is Jimmy Beans wool, located in Reno Nevada. Thanks for the awesome opportunity! Marge Butler’s Country Knit Shop, Waterford, PA.
Susan W. Love the yarn and pattern. Amazing color! My go-to yarn store is Jimmy Beans Wool, Reno, Nevada. Best staff and service anywhere! Yarn Garden, Whittier, CA. Such a beautiful color and pattern! Hmmm it’s great but if I live in Canada can I win? So pretty. I have too favorite yarn shops close by – Darn Knit in Stillwater, MN and Lila and Claudine’s in Mahtomedi, MN. I would love to be challenged with this lovely design. My favorite way to buy yarn is online at Jimmy Beans Wool. Ginger R I love this sweater. My favorite LYS closed before last Thanksgiving, Knit Wit in Olathe, Ks. Haven’t been to another shop yet. Love to shop Jimmy Beans in Reno, NV! It’s not local to me but I love them! I really like all of the plymouth yarns. I am getting ready to work with Kudo. I just love the feel of it. 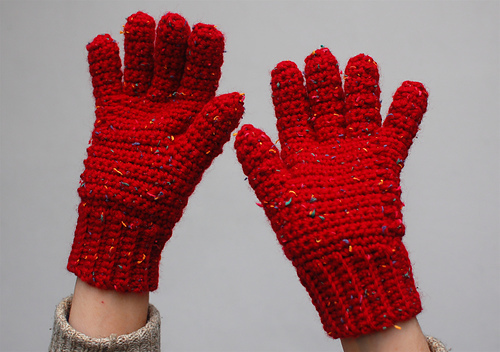 I look for them at my local shop Designer Hand Knits in Riverside, CA. Love your yarns…..have oodles and more to come! I live in Norton Ma. My name is Joyce D. My Yarn store is Fancie Purls Plymouth Ma. I think the yarn is quite delightful. My favorite shop for Plymouth Yarns is Concepts in Yarn and Needlework in Torrance, CA Thanks for the giveaway! My favorite Plymouth Yarn retailer is Atelier Yarns in San Francisco, CA. A lovely little shop with a great selection of Plymouth yarms and very helpful staff! Cowgirl Yarn in Laramie, WY! I am Juliann K and my current LYS I turn to for Plymouth Yarns is Hill Country Weavers in Austin, TX. My favorite local yarn store for purchasing Plymouth yarns, especially Baby Alpaca Grande is Uniquities in Vienna, Virginia. Really beautiful. Would love to try this yarn and pattern! Would love to win this package. My daughter-in-law has just started to learn and enjoy knitting so would love to share the package with her. Don’t have a favorite yarn shop near us so pick up yarns at Walmart or when we go to a bigger city always on the lookout for yarn & craft shops. Of course! We have a handful of retailers “up north” and many of our mail order companies are more than happy to ship there! Great service and Plymouth yarn selection. The owner, Sarah, takes time to answer any questions. Great staff and beautiful Plymouth Yarns. Lovw working with cotton yarns in the spring! Lovely pattern, too. Though the nearest LYS to me that carries Plymouth Yarns is the Yarn Cupboard in jamesville, NY, I tend to buy my yarn online from WEBS in Northampton, MA. I have friends who go there, too, and they will often pick up yarn orders for me. one of these days, I’ll get there myself – it’s only a couple of hours’ drive! I love to shop at Tangled Purls in Salem, Or. I get my Plymouth Yarn from the lovely Fiber Arts Yarn Shop in beautiful Cape May, NJ. I really LOVE Plymouth Yarns. I offer many types and am very pleased with spring & summer line. My favorite is CLEO because of its weight and colors that are offered. I have one customer making a dress for a wedding out of CLEO in the pink blush color. I must say that my favorite yarn shop is the FiberArts Cafe in Millville NJ. I d love to win, i have never won anything on the internet! webs is my favorite plymouth yarn retailer. Such a lovely sweater to make….. my favorite Plymouth yarns retailer is WEB (www.yarn.com). They deliver right to my house! Love your blog and cant wait to try this yarn. Pick me! Pick Me! Beautiful! I would love to try this sweater. And here’s a shout-out for The Studio in Kansas City, MO. I LOVE Webs.. Its my favorite yarn store that carries Plymouth Yarn..
Lovely…Elegant…would be a joy to knit! I shop at Yarn Mart in Little Rock, Arkansas. I get my Plymouth Yarn from my LYS, Great Yarns in Raleigh, NC, as well as WEBS in Northampton, MA. I love to shop at both places! There is no place to shop for Plymouth yarn like WEBS, in Northampton, Massachusetts! It’s totally worth a field trip and to stay a night or two!!! Skein in Pasadena, CA has a wide selection of Plymouth Yarns. Lovely sweater, by the way! I get my Plymouth yarn from hook and needle in Columbia, SC. Also webs online. Love knitting with Plymouth yarn. Lovely! I know my daughters would like to have this one. Beautiful yarn and pattern. Vickie N. Rockbridge, OH. I shop online at annies or webs, yarn.com. Favorite shop is WEBS in Northampton MA! My favorite place to buy Plymouth Yarn is at WEBS in Northampton, MA. This is a beautiful summer sweater , very lovely! I shop at Village Wools, Albuquerque, New Mexico. I don’t have a favourite shop as I have never used this yarn before. My favorite place to buy Plymouth yarn is online at webs, yarn.com! I love to knit and dhop at Webs online store. They have great service, very fast! WEBS is shere I go to buy Plymouth Yarn. Thanks for the super offer. My favorite Plymouth Yarn retailer is WEBS. Since I live in a rural area, I mostly shop online for yarn, so, although WEBS is located in Northampton, MA, I actually shop there via http://www.yarn.com. And it was through WEBS online that I discovered Plymouth Yarn. Beautiful and feminime. I buy my yarns at either Twisted Yarns in Spring, TX, or through WEBS online. I would love to knit this “cover up”, so pretty and I like the length of the sleeves. My favorite Plymouth Yarn shop is ” All About Yarn ” Tigard, Oregon. I’m Rebecca F. My favorite Plymouth Yarn source is WEBS in Northampton, MA and online. My daughter would surely love this if I made it for her! My daughter would truly love this if I made this for her! I get my Plymouth fix at the Yarn Cloud in Woodbridge, VA! When traveling, I love to visit that fabulous yarn arena Webs, in Northampton, MA. I love Plymouth yarns. I love my cowls using De aire. I shop Accents on Knits, Morristown, NJ. I am ready to knit my first sweater, this is beautiful.Carolyn C.
I would love to win this yarn and pattern! My favorite Plymouth yarn retailer is Webs. in Bristol, Pennsylvania! Love the sweater. Favorite lys for Plymouth yarns is Prairie Junction in Sun Prairie Wisc. What a great giveaway!! I love Jimmy Bean’s Wool. My favorite Plymouth yarn retailer is Webs in Northampton, MA! Love, love this sweater. Would love to make it this spring. My favorite store is Webs, in Maine. They have a great selection of Plymouth yarn. A lovely pattern! I buy Plymouth yarn from Webs, yarn.com, in MA. The sweater looks gorgeous! I buy my Plymouth yarns online from Webs at 75 Service Center Road, Northampton, Massachusetts 01060. Great store with great service. What a beautiful summer sweater and a gorgeous colour. I would love to make it! WEBS is my favorite yarn retailer for Plymouth brand yarns!! WEBS Northampton MA (online) – such lovely photos of Plymouth yarns! Love their cottons! As a New Englander I purchase from Webs, of course! Wool & Co., Saint Charles, Illinois! I buy Plymouth online from Webs and locally from the KNit Shop in Eugene. This is absolutely lovely! I love browsing Plymouth Yarns at Webs in Northampton, MA (and also on line). Thanks! Very nice! Favorite yarn shop for Plymouth yarn is WEBS online store, Northampton, MA. Sigrid M. Favorite Plymouth Yarn retailer: Knitting Etc. in Ithaca, NY. My favorite LYS for Plymouth is Knitter’s Edge in Bethlehem, PA . I get my Plymouth yarn from Dizzy Sheep in Rochester, NY. Would LOVE To Make This Beauty! My Favorite Plymouth Yarn Dealer Is Webs In Northampton, MA. I love it, and I would love to make it! Mary Anna Y. My favorite place to buy Plymouth Yarn is WEBS in Northampton, MA. My favorite place to get Plymouth is Webs online…we have no yarn store near me that has special and better yarns…would love to try this…pretty! The best yarn shop in the whole world to buy Plymouth yarns at is The Main Street Yarn Shop in Hartford WI! Super selection and very friendly and helpful!!! This looks like a classic “go to” sweater that will be perfect with jeans as well as under a suit jacket! I will buy this yarn from my favorite yarn shop: WEBS! Would love to knit this! My favorite yarn shop in the area is L & B Yarn Shop in Norman, Oklahoma. It’s about an hour away so I’ve only been there a few times. I usually just end up ordering online at Webs or buying from Ravelry users. Debra S.
Don’t have a LYS but love Webs for Plymouth yarn. My favorite Plymouth Yarn retailer is Cloverhill Yarn Shop in Catonsville,Md. They carry a great selection of Plymouth’s yarn. My favorite yarn seller is WEBS in Northampton, MA. – an awesome knitting center, physical store as well as web retailer. My favorite place to get my Plymouth yarn is the Main Street Yarn Shop in Hartford WI! They’ve always got a great selection!!! Beautiful sweater! My favorite place to buy Plymouth yarns is in Hartford, WI, The Main Street Yarn Shop! Amazing selection and a wonderful atmosphere! Webs, in Northamton Massachusetts is my favorite place to get Plymout yarns. The the Cleo Carefree Cover Up is gorgeous. Have to make it, for me this time. That is so cute and I’d love to win everything needed to make it. love the yarn & pattern. Love this pattern! It’s my color, too–a double plus! I get all of my Plymouth yarn from WEBS! I usually buy yarn online from Webs. I love to visit Knitting Addiction, it’s on the Outer Banks of N.C. and I buy from Webs. They always have the colors of Plymouth Yarn. 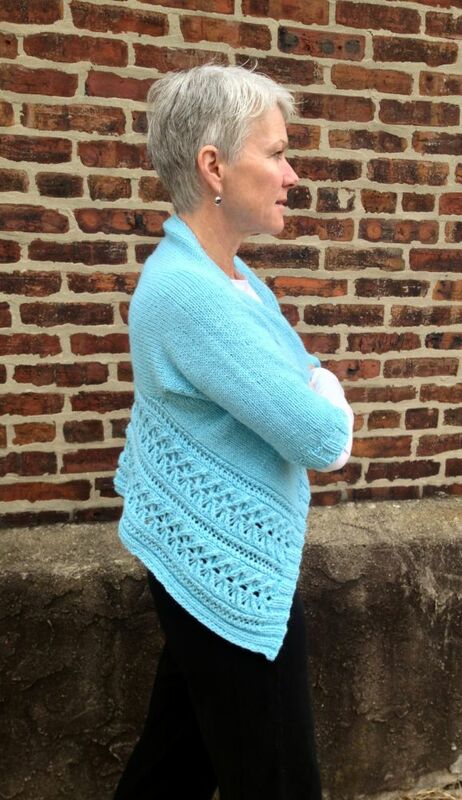 Hi- I am Kim P. I love the sweater – I would purchase the yarn for it at WEBS in Northampton, MA. Awesome! Webs in Northampton, Mass! Would LOVE to make this. I usually get my Plymouth Yarns from WEBS as my local shop doesn’t carry my favorite colorways. Lovely pattern! Webs from Northampton, MA of course! Favorite Plymouth dealer: The Idea Studio, LaGrange IL! I don’t have a local yarn dealer, so I shop online. I’d love to win this — it’s gorgeous! Well, my favorite lys was Windsor Button in Boston, MA, but unfortunately they are closing after 70+ years of business. So I’d have to go with WEBS in Northampton, MA as my second favorite. I love Plymouth Yarns, you offer such great variety! I love the sweater! My go-to-local yarn stories The Yarn Store(Adventures in Knitting, located in Harwich, MA. They carry a huge selection of Plymouth Yarns and are always willing to order for me! I love the sweater! My go-to-local yarn store is The Yarn Store(Adventures in Knitting)it is located in Harwich, MA. They carry a huge selection of Plymouth Yarns and are always willing to order for me! I love the Main Street Yarn Shop in Hartford, WI. I actually drive over 45 minutes to get there, but she has the best selection of yarn!! I am a relatively new knitter, but it would be so much fun to win this and stretch my knitting skills! I love Plymouth yarn and really enjoy going to Webs to pick up some great yarns there. My favorite Plymouth retailer is — Main Street Yarn Shop in Hartford, WI 53027. What an elegant pattern! So flattering. Perfect for day or evening! Lovely sweater! My favorite place to purchase Plymouth yarns, Main St Yarn Shop, Hartford, WI. The selection is amazing! The shop is a warm, welcoming knitters’ paradise. My favorite yarn store is Webs. …excellent customer service…beautiful yarns…great prices! A beautiful sweater. Crafty Lady Trio in Macomb, Michigan, carries your yarn. I’m planning a trip there soon! Yarnies in Abilene, TX is a great place to buy Plymouth yarn! This is such an elegant pattern. 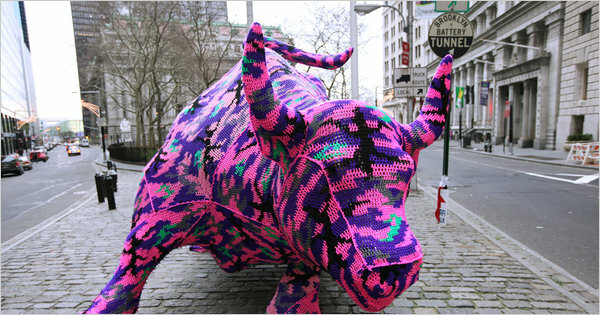 I’d love to knit it! My favorite Plymouth Yarn retailer is the Woolie Ewe in Plano, Texas. The sweater looks fun to make! My yarn store and source for Plymouth Yarn is Webs, in Northampton, MA. Mariel B. My favorite place to buy Plymouth Yarn is at Basket Full Of Yarn on South Main St. in Clarkston, MI. Love Plymouth Yarns! My favorite yarn retailer is WEBS in Northampton, MA. Beautiful pattern in a lovely yarn! I love shopping at Seaport Yarn in the Financial District in New York City…Andrea is AWESOME!!! Knitting Fairy in Grand Prairie, TX is my favorite LYS. Downtown Yarns in NYC is my favorite PYC Retailer! great service and helpful staff plus a great selection of yarns! My favorite yarn store is without a doubt Webs. Beautiful. Theknitter.com is my favorite place. My favorite place to browse, and buy Plymouth Yarns is Rosemary’s Yarn Shop in Windham Maine. Rosemary has the most amazing yarn selection. The price is right and the quality is fab! I buy 90% of my yarn at Web’s, Northhampton, MA, in the store when I’m visiting my daughter in New Salem and by mail the rest of the time. Main Street Yarn Shop in Hartford WI. I have met and become friends with so many talented and beautiful people because of Main Street Yarn Shop. It’s not just a place to buy Plymouth yarn.. it’s also the home of many lifelong friendships and for that I’m so grateful! I love my Plymouth yarn retail store-Main Street Yarn in Hartford Wisconsin! The best! The sweater is gorgeous! I would love to make it. My favorite yarn shop is Tangled Web in Philadelphia. What a fabulous pattern. There are several things in that issue that are lovely! Ronda at Main Street Yarn Shop in Hartford, WI rules! Favorite retailer: Knitterly in Petaluma, CA. I have ordered numerous Plymouth Yarns from Webs. They are the greatest! The Nook in Lisle, IL meets all my Plymouth needs! ABERGELE	LL22	GB Id love to win this As a Returning Knitter Ive now Found Via you A shop that sells gorgeous wools!!! I shop at WEBS and Little Knits online, Heavenly Sock Yarns in Belfast Maine and Great Balls of Yarn in Florida! And try to resist other stores! I buy all of my Plymouth Yarn from Personal Threads Boutique in Omaha, NE. I would love to make this for myself. I’ve been making things for the kids and other people. I love this! I go to WEBS! I love this. I go to WEBS for yarn. THE BEST yarn shop is Main Street Yarn in Hartford Wisconsin. Love the Plymouth yarn she stocks and the wonderful wisdom she provides. The Wooly Lamb on Main Street in East Aurora, NY is a great, friendly and helpful shop. I LOVE looking at Webs site and will probably order KP needles and the Plymouth dyable yarn TODAY. Thanks! I love the encore yarns, dk weight and worsted. They are perfect for baby and children’s knits – great drape, luxurious feel, yet machine washable and dryable. I love to shop for yarn and inspiration at Grace Robinson and company in Freeport, Maine. Beautiful pattern! I’d love to win the supplies to make it! Thanks for the opportunity! I buy a lot of my yarn from my LYS — and it is WEBS in Northampton, MA. I love the sweater and yarn that you are offering here !! My favorite store for Plymouth Yarn shopping is CuttingEdge – but my local shop closed 🙁 And I just started knitting my last stashed Plymouth Yarn project last night – I’d love to win this stunning project! That is a lovely sweater – I would be thrilled to make it!!! My favorite yarn shop is Main Street yarn in Hartford, WI – they are so helpful!! What a lovely summer top! Love this sweater! My LYS is River Knits in Lafayette, IN. The Knitting Edge in Bethlehem, Pa is hands down one of the largest stores in the NJ-Pa area with a great variety of patterns and yarns. The owner and staff are fabulous as well. Poshi M. Babbettas Yarn & Gifts in Sacramento, CA is awesome! Such a great selection of your yarn! Favorite plymouth yarn – so many but I’ve been using a lot of baby alpaca this winter. LYS- all have closed. Have to do online orders or shop at Joanns or Michaels. I don’t have a local Plymouth yarn outlet so I use Webs for nearly all of my yarn purchases. They are great-I have never had a problem ordering and the deals never end. 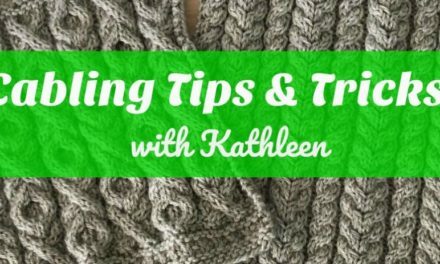 I LOVE Knit to Unwind! They are in Fredericksburg, Virginia, and they are great at getting me the perfect yarn, and inspiring me with ideas for new projects…. the perfect way to keep a yarny happy is to introduce new Plymouth Yarns, order extras of colors that are out of season, and make her drool over future projects. Knit to Unwind is really good at keeping this yarny happy and well stocked with fabulous Plymouth Yarns!! Stephanie M: I usually buy my Plymouth yarns online from WEBS in Northampton, MA. My LYS doesn’t carry a big selection of Plymouth yarns. Knitorious in St. Louis, MO is my favorite source for Plymouth yarn. There’s a great selection of all types and colors of my favorite Plymouth yarns! Ardis R, I love Plymouth Yarn! Buy it from Atelier in San Francisco, CA, the best, most helpful & knowledgeable staff around! Beautiful sweater. Living in FL I mostly do internet shoppping. My favorite place to buy Plymouth yarn is Keep me in Stitches, McCall Idaho. That yarn will be delightful to work with. What a nice prize to give away. Happy Spring. Great blog. I love the fresh look and always love to see patterns. It inspires me! My favorite lys is Creative Yarns in Macon GA. The first time I ever used Plymouth yarn wad from WEBS in Northampton, Ma. I was instantly hooked and have made many wonderful items from it! Galway would probably be my favourite line but Happy Feet is amazing too!! I love The Yarn Haven in Knoxville TN! Love this yarn..I stop in Main St Yarn in Hartford WI for all my yarn needs! I love the shop Serial Knitters in Kirkland WA. Great selection of yarn and tools and accessories, and friendly service and welcoming vibe too. Thanks for the giveaway! WOW! This pattern is GORGEOUS! Perfect for summer’s hot days! My local yarn shop is the Knitty Gritty in Vero Beach, FL. Locally I shop at Bella Yarns in Warren, RI. But online it’s WEBS all the way! I own the local yarn store, The Yarn Basket in Petal MS and carry several of your yarns. They are popular yarns. Would love to win the kit, make it up and display it in the store. Recently used Boku (01) to make a Faux Fair Isle hat. The Yarn was perfect for the project and reminds me of stained glass. I purchased the yarn at WEBS, located in Northamton, Mass. I buy my Plymouth Yarn at Common Threads in Encinitas, CA! The sweater is stunning. I love the way the fabric drapes on the body. I would love o knit this. If you aren’t the randomly chosen winner, call either Allison in the office or your sales rep and I’m sure we can get you something for a sample, thanks for entering! Shannon h. Webs. Northampton ma. Love the sweater. Would love to make it. Would love to win this! So beautiful. Not sure who carries the yarn in my area. I’m in Boca Raton, FL. Cleo was my fathers mothers name. She was as beautiful and elegant as the featured pattern. She would have been honored to have her name on this pattern. Though I live in SC, my favorite yarn shop that carries your yarn is “Davidson Yarn Shop” in Davidson, NC. River Knits in Lafayette, Indiana. River Knits Fine Yarns, Lafayette IN. Great looking sweater! I would love to win this. Knitters Mercantile in Columbus Ohio carries a great variety of Plymouth yarns. The cover up is beautiful. We do not have a distributor for Plymouth Yarns that I have been able to find in my area. Would love to make this cover up with the specific yarn because I love the color and would like to work with this yarn. on her as she is fair skinned. I can’t wait to knit this for her. I look forward to seeing this yard and taking on this project. About to finish up current project and looking for something new. That is soooo gorgeous. I would love to make that top. I get my yarn fixes for the fancier yarns from yarn.com – because I have not found a local, affordable place for yarns here in Austin. At lest when I need some nicer yarns. I would love to make this top. My nearest yarn store is about 30 minutes away, so I shop online a lot. WEBS of course has everything, but I also shop from several other online stores. Cornerstone Yarns in Richfield, OH!!!! I really do like this sweater pattern! Very awesome pattern! Mostly buy at Joann’s in Vienna, WV or online. Cyndi M would love to knit this using the Plymouth Yarn purchased from my favorite lys: A Likely Yarn located in Abingdon, VA. Wool Station in old town Fairhaven in Bellingham, Washington is my favorite yarn shop….and they sell Plymouth brand yarn!!! Love this. Michaels im germantown. Great top for Spring! Love Plymouth Yarns and I buy it at Webs in Northampton, MA – sometimes online but visiting in person is best! Hope to win!! I would love to win this great prize package. The yarn is beautiful as is the pattern. Would love to make it for our next cruise. Thank you! A winner design I’d love to knit! My favorite Plymouth retailer is Babetta’s yarn shop in Fair Oaks, CA. I get my Plymouth yarn online. Love the style and drape of this particular sweater. Would be great for our cool summer weather in the Pacific Northwest! Sandy, if you give me your city and state, I can do a search locally for you. Would love to win this. It is a beautiful sweater. Heindselmans Knit Shop in Provo, Utah is my local yarn shop. This is an absolutely darling cover up. My favorite shop in which to buy Plymouth Yarns is North Woods Yarn shop in Inman, SC. Looking forward to winning this wonderful package!! I have never tried your yarn. My closet yarn shop is Ben Franklin in Grass Valley, CA. I’m not sure if they carry it. I’d love to knit this beautiful sweater top. I have been knitting for over 60 years =) !!! Main Street Yarn Shop in Hartford WI is my favorite yarnshop!!!!!! Doris C here, my favorite Plymouth Yarn retailer is The Yarn Boutique by Sarah in Newton, New Jersey! The pattern and color would look beautiful on my daughter. i would love the opportunity to make it for her, for free!! Thanks! I love cotton sweaters because I can wear them almost year around. I buy my yarn at The Knitting Boutique in Glen Burnie MD. I love this cover-up pattern & would love to win the yarn to knit it. My local yarn shop is Yarn Garden in Lawrenceville, GA. I would love to make this one for myself! Laura R — I love WEBS in Northampton MA! My favorite shop and where I buy everything to knit is The Yarn Boutique in Rochester, NY. Would love to try this. Would love to make this. Favorite yarn retailer is Annie’s. Love the ladies at the French Knot at Diamondhead, MS.
My favorite place to buy Plymouth yarns is All About Yarn in Portland, OR! Gorgeous patterns! Kit Knit in Lancaster, PA is my store for Plymouth Yarn. Our local shop is Memory Hagler store. Would love to make this sweater – so pretty! I love Plymouth yarns. My LYS is Sophie’s in Louisville, KY.
Beautiful pattern for this lovely yarn. I get Plymouth yarn at Holley’s Yarn Shoppe in Dallas, TX. So soft & pretty…. Jennings Street Yarn, Fort Worth, TX…. Love that place!! Unfortunately I don’t have a local place to buy Plymouth yarn. My favorite place to get yarn is Jimmy Beans Wool. Such beautiful yarn and for such a beautiful pattern. My local yarn store, Green Planet Yarn in San Jose, California is where I find my Plymouth yarn. This patter is so feminine! I LOVE the classic look! My local yarn shop is Michaels! If you would like to find a Plymouth retailer in your area, use the contact information on our website and we can point you in the right direction. Anne O.–INDIANA. I have found Plymouth in Minnesota(Monika’s in Park Rapids) and online. It is one of my favorite go-tos for children’s sweaters. I love this pattern and color. Have a skirt that would be a perfect match for it! My favorite yarn shop is Bette Bornside Yards in New Orleans, LA, even though I don’t live there anymore.